This week I visited my first bottle share in Norwich. The brain child of two of Norwich’s biggest craft wankers beer geeks, Nate & Jason, the rules are simple. 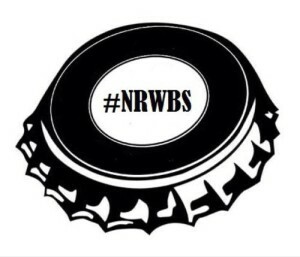 Bring a bottle (or two depending on the size) and share with like-minded people. The events run every month and this month’s event was being held at the Norwich Tap House. The tap house is on Redwell street, a 10(ish) minute walk from the station and as Nate tells me is the “unofficial tap house of Redwell Brewery”. 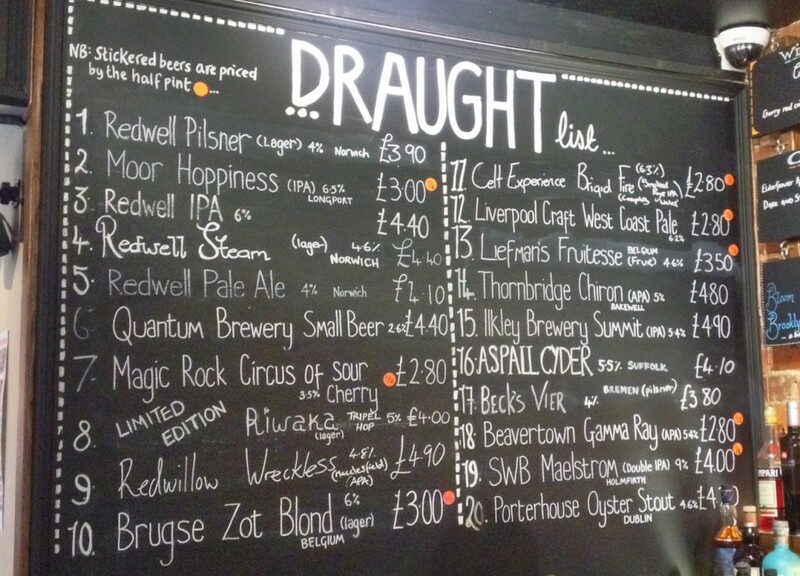 This is evident from the selection of beers on the board, from which I sampled Redwell’s ‘pale ale’ and the limited edition ‘tripel hopped riwaka lager’, the latter of which was simply stunning. Sweet flavours of peach and caramel, mixed with a creamy tropical fruit aroma made this pretty much as far from any ‘normal’ lager as you can get. The tap house itself has a relaxed atmosphere (on this evening anyway), 20 beers on tap and a number of bottles offerings in the fridges. There is a 15% discount available on any bottles being purchased to take away. This is a place where any assuming beer fan could easily lose an afternoon, evening and probably the next morning as a result. As the bottle sharers start arriving, we pull up a pew (literally) in the corner and prepare to see what delights have been presented tonight. As it’s a bottle share, we’re doing nothing more than tasters of each beer, but this is good as it allows you to try more and I’m very happy to see someone has brought a palate cleanser in the form of a 750ml bottle of ‘Oude Geuze’. So what did we actually drink on this fine evening in Norwich? First up was Tiny Rebel’s ‘Belgian Urban IPA’. I’m not a massive fan of Belgian beers, so I’m glad we got this one out of the way early doors. Next up was a Belgian ‘Triple IPA’ by Microbrouweij Den Triest. I’m not a massive fan of Belgian beers (did I say that already?) but this one had a much drier finish and was far less ‘Belgiany’ than the first. 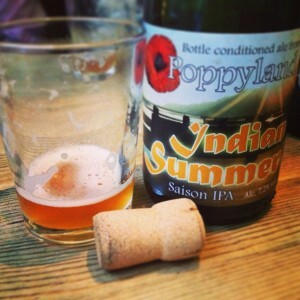 Next up and the first surprise of the evening was ‘Indian Summer’ by Poppyland Brewery. Labelled as a Saison IPA (first in my experience) this was really enjoyable. It was sweet and had the finish of an IPA with the underlying characteristics of a saison. This was followed by another Poppyland brew in ‘Crab Apple Sasion’ which had the aroma of apple crumble and the taste of a F1 pit lane. Hitting ‘reset’ with ‘Oude Geuze’ we then got stuck into ‘Chockwork Orange’ by the Brentwood Brewing Company. I missed this at last year’s GBBF so I was glad to finally try it. More chocolate than orange but enjoyable none the less. This was followed by Norfolk Square Brewery’s ‘Maverik Bisquit’ which was like drinking a barley wine that wasn’t ready. Then came ‘Mandarina IPA’ by Nøgne Ø, brewed using the mandarina hop that currently isn’t commercially available. 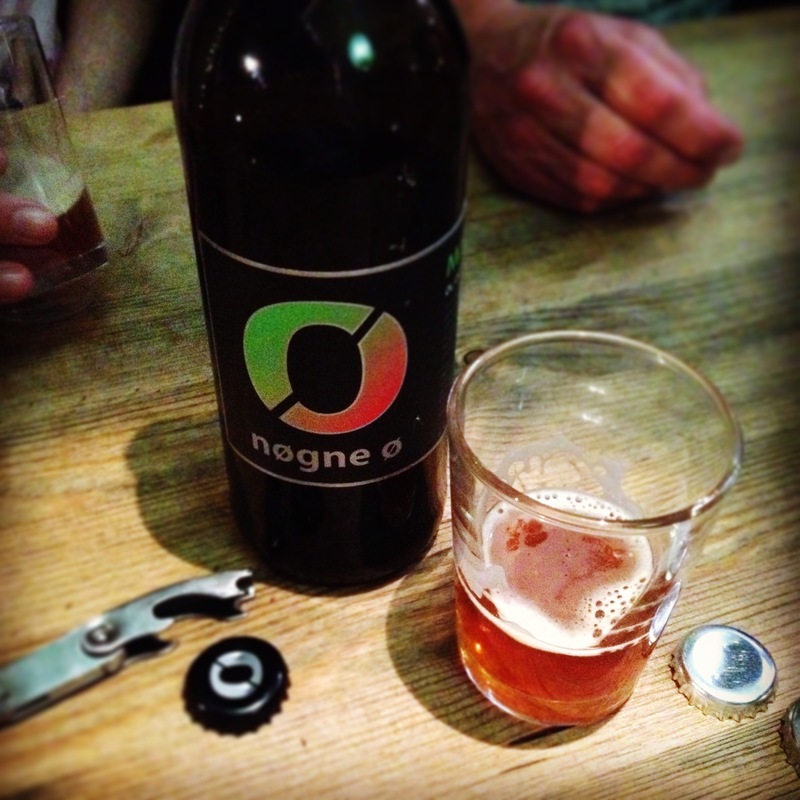 It’s been developed in Germany and by all accounts the guys at Nøgne Ø ‘stole’ some to brew this beer. Strong aromas of pine, blossoming fields and oranges, with flavours to match, this really is a hop that I’d like to see much, much more of. Time was cracking on and I had a train to catch so we moved onto the final two beers of the evening. Beers that had been saved for this moment. First up, Magic Rock’s ‘Un-Human Cannonball’ 2014 release. I’ve said enough about this beer in previous posts so I won’t bang on about it here, other than to say, 6 weeks on the flavours are changing but it’s still very, very good and far too drinkable. The last drink of the evening was pretty much the perfect end. ‘Oerbier Special Reserva 2012’ by Brouwerij De Dolle Brouwers was outstanding, a really, really good beer to finish on but unfortunately I can’t say much more than that about it as I didn’t have time to savour it as I had to make a quick exit to make my train. 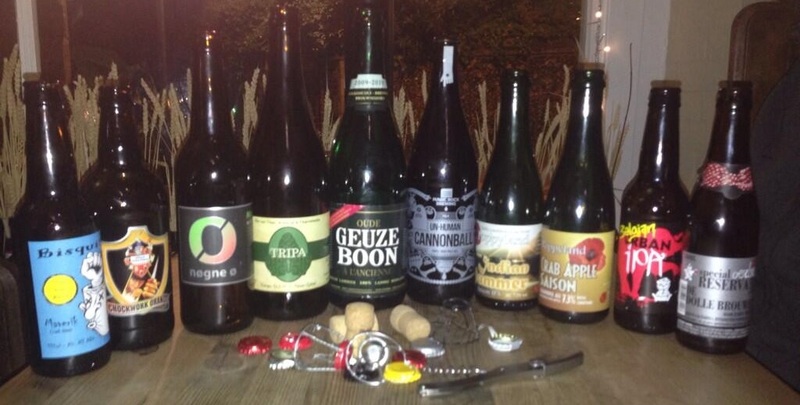 I thoroughly enjoyed my evening at the Norwich Bottle Share and will be going back again in the future. Events are generally the first Thursday of the month and are sometimes themed. Full details about the set up can be found by clicking the image below. A massive thank you to the guys for being so welcoming and as I settled into my seat for the (ghost) train home and opened the obligatory train beer (M&S/Oakham Citra in case you were wondering), I was once again reminded that Beer Folk Are Good Folk.